iPhone 4S - Australia to get it first? So, Apple today launched the iPhone 4S. Not the iPhone 5. That will be Apple’s next iPhone, unless 5 is an unlucky number in Cupertino. And today the world watched, listened, and responded with an almost universal, ‘Meh’. The ‘Meh’ reaction I think says more about the public’s expectation than anything else. It’s a step up, not a flight of steps up. The iPhone 4S is faster, with its dual-core A5 chip. It won’t have the aerial issue of the iPhone 4, as Apple have put in a dual-antenna system. It’s what is called a ‘world phone’, easier when you travel as you can roam to your heart’s content in over 200 countries and their GSM or CDMA networks. Though, as they say in telephone companies, roam is where the skinny wallet is. What else has stepped up. There’s a new size, 64GB of storage, on top of the 16GB and 32GB versions. 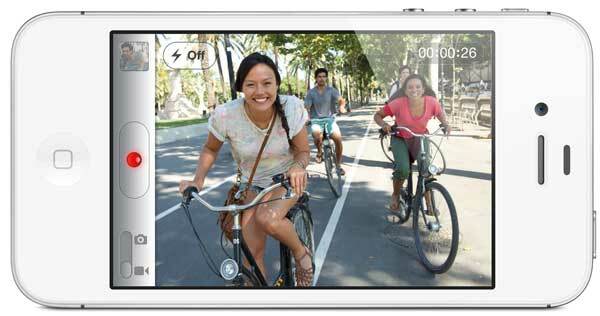 The iPhone 4S moves up to an 8 megapixel camera, and shoots video in 1080p high definition. And with the inbuilt Air Play, if you have the Apple TV box you’ll be able to wirelessly stream content from your phone to your HD TV. Speaking of wireless, the iPhone 4S packs AirPrint, allowing to get things from your iPhone to your printer, wirelessly. More new? The Siri voice command feature. Activate Siri, and you can make a call, schedule a meeting, send a text message, get directions, open apps, play songs, check the weather, take notes, send a tweet, update your Facebook. There’s no waiting around on the bench for Australia this time. 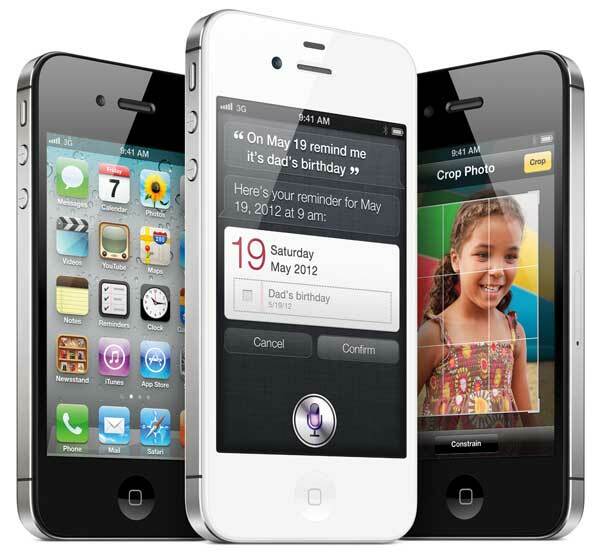 Australia is in the run-on team, with the iPhone 4S going on sale in this country on the same day as the US, Canada, France, Germany, Japan and the UK, on Friday, October 14. Actually, depending on what time the iPhone 4S goes on sale here, what with our time zone, Australia will be the first country in the world to sell the iPhone 4S. In the USA, the pricing is $199 for the 16GB model, $299 for the 32GB model and $399 for the 64GB model. Keep in mind, these figures do not include sales tax(es), and you cannot buy an iPhone outright in the USA, call and data plan pricing has to be added to these prices. Expect the major Australian telcos to release their plan pricing pretty swiftly. The iPhone 4S will go on sale in Austria, Belgium, Czech Republic, Denmark, Estonia, Finland, Hungary, Ireland, Italy, Latvia, Liechtenstein, Lithuania, Luxembourg, Mexico, Netherlands, Norway, Singapore, Slovakia, Slovenia, Spain, Sweden and Switzerland before the end of October. Battery: Built-in rechargeable lithium-ion battery. Talk time – up to 8 hours on 3G, up to 14 hours on 2G (GSM); Standby time – Up to 200 hours. Internet use – Up to 6 hours on 3G, up to 9 hours on Wi-Fi. Video playback – Up to 10 hours. Audio playback – Up to 40 hours. So, what do you think iPhone people? Are you one of the people saying ‘Meh’ about the new iPhone? Are you happy enough with the upgrades and new features? Leave your comments about the iPhone 4S in the ‘Leave a Reply’ section, located a little further down this page.